Etsy Marketplace at Evergreen Brick Works Oct 25! I thought I should let you know that I’ll be at the Evergreen Brick Works this Sunday at the Etsy Marketplace, an event is in partnership with Etsy Canada. There will be something like 65 Etsy vendors in The Pavilions, alongside the Farmers’ Market. You can find the full list of Etsy vendors on the Evergreen website, (however the list is not quite up to date as I see some names from the August marketplace who are not taking part on Sunday). So, if you’ve been wanting to try on one of my hats or want to check out your favourite ornament in person, come on down to the Brick Works this Sunday at 550 Bayview Ave. I will have all of my current stock with me, including catnip balls, dryer balls, coffee and tea cosies, and headbands. Rovena Tey of Handmades by Rovena and The Chemist Tree is a fellow Etsy vendor who will be joining me and many others on Sunday, October 25 from 10am-3pm and at the Etsy Marketplace in the Pavilions at Evergreen Brick Works Farmers’ Market at 550 Bayview Ave, Toronto. Her science cards caught my attention, but they actually came later to her business. Read all about it below! 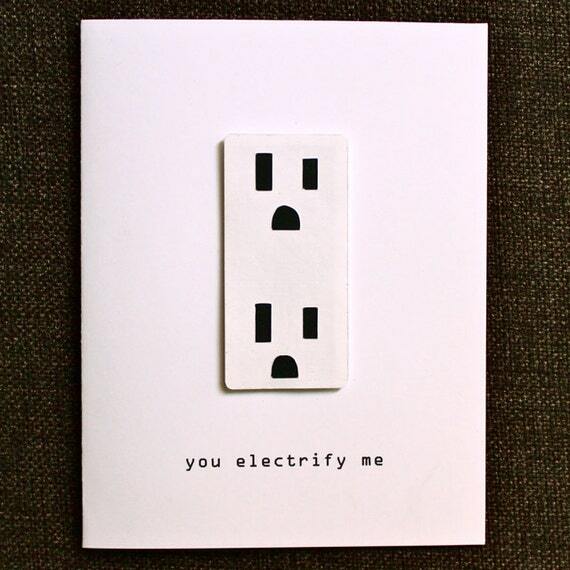 I’m a scientist and creative paper artist who makes smart, punny, and nerdy greeting cards. Every piece is made by hand, one by one, with much love and care. I spent my childhood in Singapore, but am now living near Toronto in Canada. I get lost in my creative world mostly by night, as I’m also a mom to a boy and a baby girl. Although I’ve always been creative since I was small, dabbling in all sorts of crafty endeavours from cross-stitching to silk-screening, my younger years in Singapore were mostly consumed with school, a very academically-intense 6-days-a-week of school. The paper crafting came much later, fast-forward to after finishing graduate school at McMaster University in Canada. I studied science. I fell into paper crafting by accident, trying to recycle a lab manual cover by making a card, while job-hunting after graduating university. That is how it began. Eventually, I did find that science job, however, I continued creating art to utilize both sides of my brain. It may surprise you that the first card I made wasn’t a science card. I think so much of my life had revolved around science that my brain just needed to do something different. With inspiration coming from all the bits and pieces of my life, I made cards by hand, calling myself “Handmades by Rovena.” My handmade cards took on a variety of styles to reflect all the memories from my past, adventures in my present, and my dreams of the future. Nowadays, my signature style has become a simple design paired with a punny or witty statement. 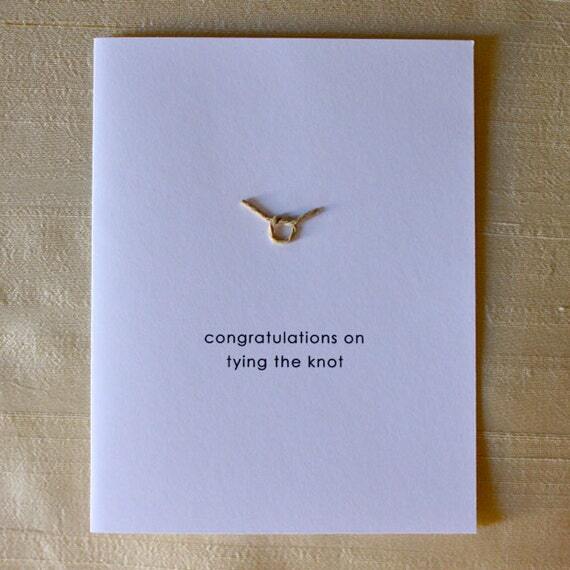 With encouragement from a neighbour who loved and bought my handmade cards, I started selling at local craft shows. Figuring things out as I went along, eventually making the business official in 2010. After I had my first baby, I started an Etsy shop so I could continue selling online when I couldn’t participate at shows. So how did my science cards come to be? A few years into “Handmades by Rovena,” I made my first chemistry card, inspired by my coffee- & chemistry-loving husband – a brown card showing the molecular structure for caffeine, that famous chemical in coffee. Not only did he like the card, so did everyone else who saw it. This fusion of art and science was unique and there was nothing else like it in the stationery world. You’ve probably heard the line that when two people get along, it means “there’s chemistry between them.” Right? So, this is true in the literal sense as well as scientifically. When we share a laugh with friends, it is because of the chemical serotonin, a happiness neurotransmitter. Our feelings of attachment with another person are because of vasopressin or oxytocin, chemicals with love and human bonding functions. 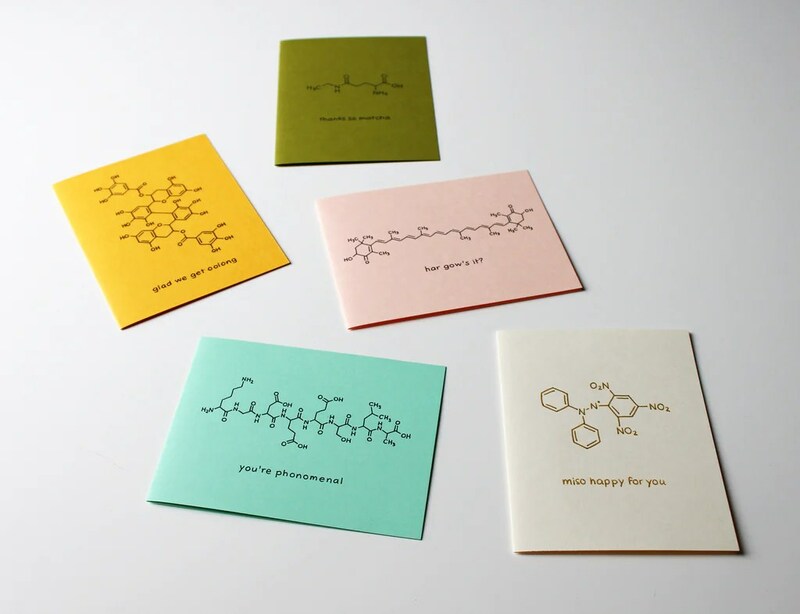 Which then makes a chemistry card the most awesomely tangible way to connect with another person. Chemistry is everywhere, more than we even realize – our emotions, what we eat, what we smell, and even the things we touch – and I’m simply showing people this through my art. Every chemical design has a true meaning because it is based on real scientific research, driven by my own curiosity for everyday things. I then simplify the science and use puns and witty lines to make it captivating and memorable (e.g., you’re so rad – shows a chemical from radish). At the same time, creating a fun way for everyone to learn about a seemingly complicated subject. One chemistry card led to another and another and another. 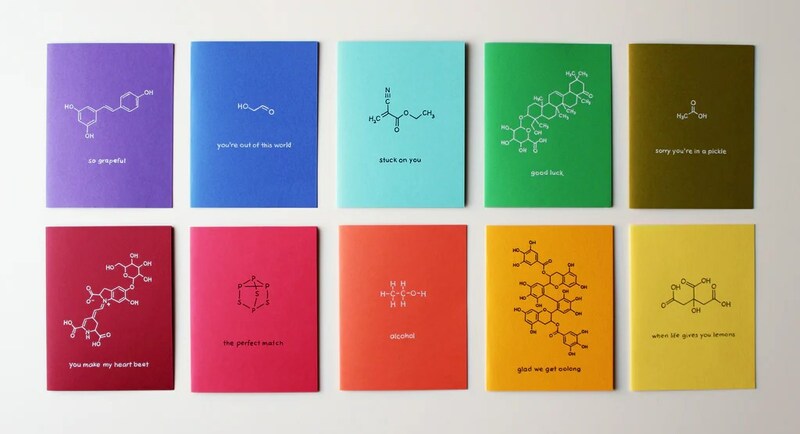 And before I knew it, the chemistry card collection exploded to over 100 different designs and more than 5 different product types, such that it only made sense to branch out into its own brand as The Chemist Tree, which happened in 2015. By now, I’d also become a mom of two and my small business had grown a little bit more. It’s mostly a one-woman-show so as you can imagine, it’s a challenge to balance family, business, work, and life. So I’ve left my science job for now to focus on the everything else. Looking forward to the ride and where this new adventure takes me. My boy and baby girl keep me busy all the time. Most of my daytime hours are spent being a mother, taking care of and playing with my children. I usually only get to do my creating at night when the little ones are sleeping. Outside of day-to-day activities, our family loves nature so we explore conservation parks or hang out at the beach. What advice do you have for artisans just getting started? If you have a vision, just go for it and take that first step. Nobody knows everything at the beginning – you will figure it out along the way as long as you keep at it. Sometimes your path may change but just roll with it, as you will learn from every single experience. It is truly an adventure. You can find Chemist Tree on the web, and Rovena’s Etsy shops: Handmades by Rovena & The Chemist Tree, Twitter @HandmadesRovena & @chemisttreeshop, Instagram @HandmadesRovena & @thechemisttree, Facebook handmades.rovena & chemisttreeshop and do come see her work in person at the Etsy Marketplace at the Brick Works Farmers’ Market on Sunday, October 25! Etsy: Made in Canada Day 2015 at MaRS is coming this Saturday! This Saturday, September 26 is Etsy: Made in Canada Day! There are Etsy pop-up markets across the country so if you are not in the Toronto area, please check here for one near you. I met half of the Filthy Rebena Vintage team last week at a Toronto Etsy Street Team meet-up on a stunning late afternoon in Riverdale Park. 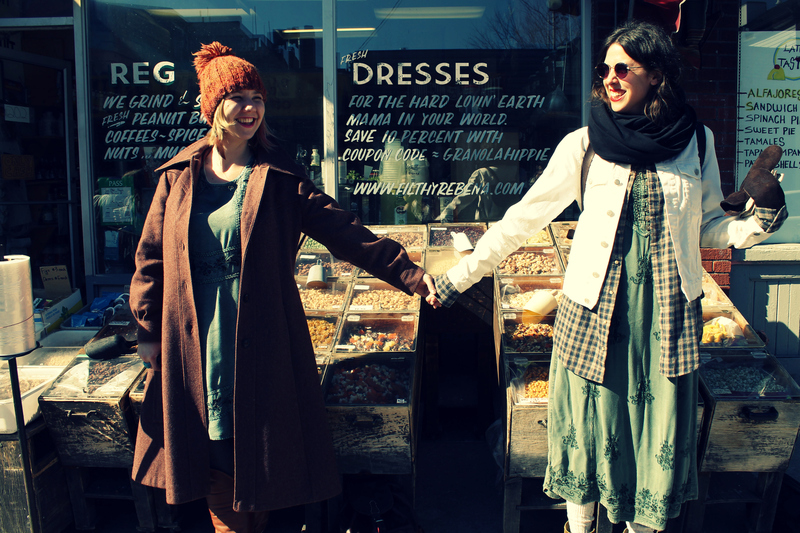 Darlene and Natalie are vintage vendors. I can’t wait to see what they’ve got in store for Etsy: Made in Canada at the MaRS Discovery District this Saturday, September 26 (10am-6pm)! You will find Filthy Rebena at table 40, which is in the MPR Foyer. 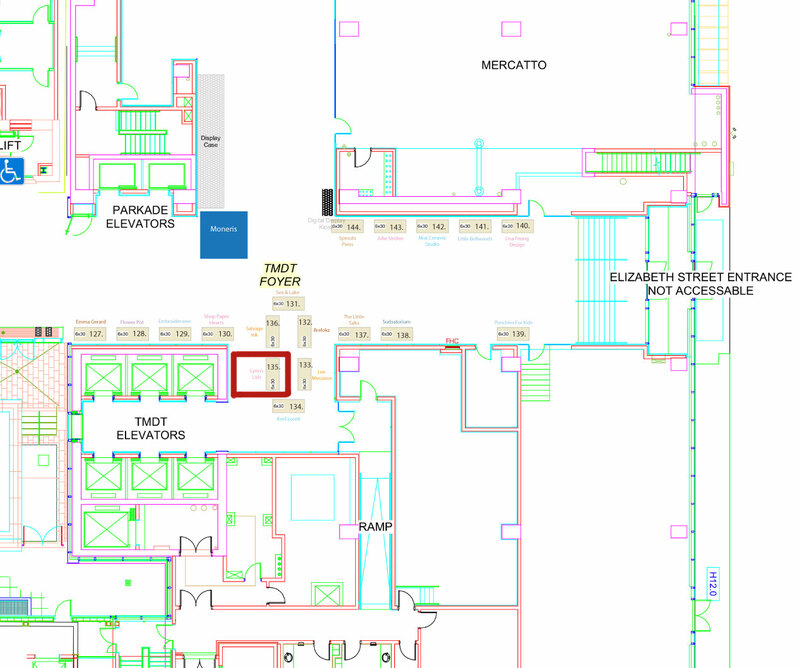 NOTE: This year at Etsy:Made in Canada, there is a significantly different layout and they are using the entire length of the building, so the MPR Foyer is the first foyer up the stairs. The glass box that was so crowded last year is not in use. The area that the rest of us were in only has 40 vendors in it this year and the other 100+ of us are up the stairs and further east. I will post a map in a day or two. Products: Vintage clothing, upcycled swag, jewelry, housewares and reasons to ogle. Filthy Rebena’s co-owners met in October 2010 working together as vintage wardrobe stylists on a high-volume photography shoot. There was no awkward chit-chat. The energy felt right. To put it simply, the stylists became instant friends. For a year the stylists worked closely alongside each other. Days were spent together steaming, prepping and photographing vintage clothing. The stylists communicated quite a bit about designers, fabrics and online style blogs. There was a lot of fighting and wrestling mannequins. Mainly, the photography studio was filled with the stylists laughter. They had laughing fits often – which typically revolved around 1980’s styles, adventures of pillaging the vending machine and mocking each others tastes in clothing. After a year of growing a strong sisterhood, the company had a mass layoff. The stylists found themselves out of jobs. They were upset, blue and broke. The only thing they had to show for themselves was their massive collection of vintage clothing. That’s when the stylists decided they would sell off their own collection in hopes of having a little bit of money in their pockets. 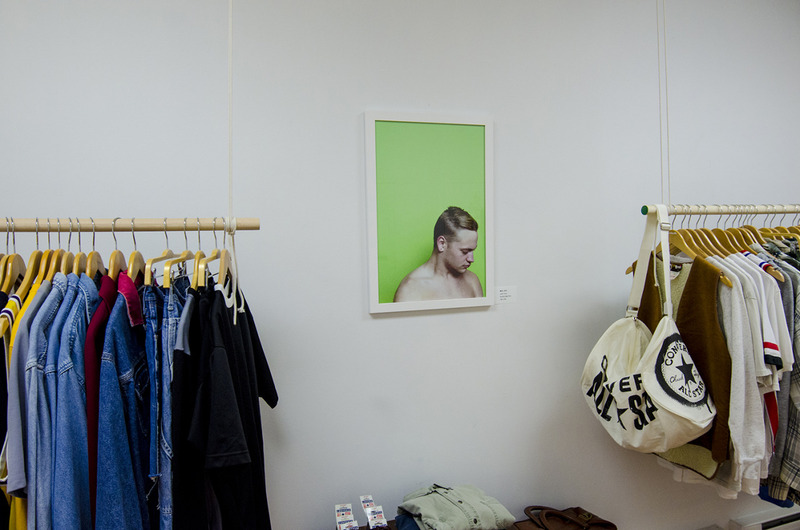 Once late night in November 2011, the stylists came across Etsy and decided to create a shop. Nostalgia and hope for a better future. To get away from the corporate world and do good things in the fashion industry. We have a passion for art, fashion and being good to the planet. Filthy Rebena is brilliant because we are able to express ourselves while having a conscience. Not only are our garments trendy – but reclaimed. Customers and staff can feel positive about the company and what we are trying to do. Fashion is cyclical The past keeps reoccurring through a “new” trend in one way or another. We love to keep vintage relevant to the times so we pick our vintage with the current runway shows in mind. We think it’s cool to make something that is old new again. It can be hard letting go of a garment that you’ve become emotionally attached to. Easier said than done. Treasure hunting! We love feeling like a pirate and venturing to unknown areas in search of treasures. It is just as satisfying to then be able to share our treasures with our customer base. What is the most eccentrically glam thing in your collection? We have an awesome Picasso splash jacket that is quite ghetto-cubist-chic. Our only rule in fashion is to recycle your clothes. Where do you wish to be buried and in what? Certainly want to be buried in a coffin somewhere where pirates will find us. We will have jeweled bangles up to our elbows, so when they pillage us we will make their day. Hopefully they put our skeletons on the bow of their ship so we can sail the seas. Please share some insight into your creative process. Babbling to each other generally helps get the creative juices flowing. We love having a classic cocktail in a handsome, vintage glass. But, we swear this is rare because creation in always on our minds. It is great to love what you do because you are constantly wanting to do it. There is no dread about going to work. 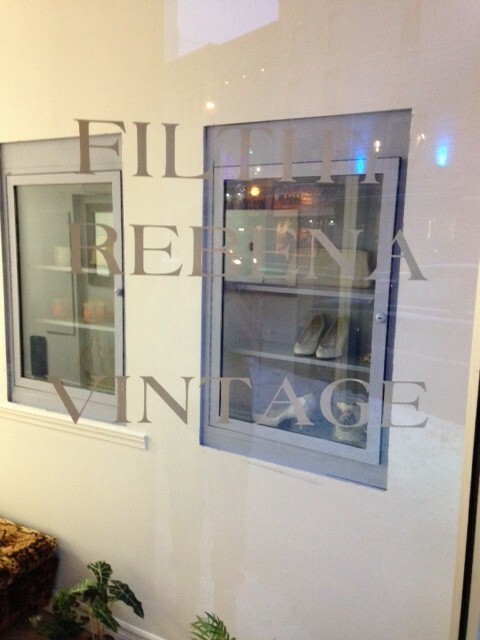 You can find Filthy Rebena online @filthyrebena on their website, Instagram, Tumblr, Twitter, Etsy shop, Pinterest, and in their brick and mortar shop at 177 Dundas Street in London, ON Tuesday – Saturday 12:00 PM – 6:00 PM. Drop by and try on a treasure! Katie of Heart’s Haven will be joining me (and many, many others!) at 2 upcoming sales: Danforth East Arts Fair at East Lynn Park (just west of Woodbine on the south side of Danforth Ave) on Saturday, September 19 and Sunday, September 20 from 10am-5pm and at the Etsy: Made in Canada Day at MaRS Discovery District (University & College) on Saturday, September 26 from 10am – 6pm. Great question! Probably as a young child watching my mom sew clothes and quilts. I used to sit on her studio floor and sew buttons onto fabric. I’ve always loved textiles arts, and spent years knitting and sewing for myself and friends. I frequented many craft shows and always wanted to be a part of the Toronto crafting community. It was just a route I needed to take! Anything & everything! I’m inspired by a wide range of things; life experiences, emotions, wildlife, as well as purely visual & tactile stimulation. One of my favourite things is walking through yarn or fabric shops. My most recent collection, “Wanderlust,” is inspired by recent travel experiences to South East Asia & New Zealand. I like to think that my work really encompasses my own personal narrative; that every piece tells a bit of my story. Finding time to immerse myself in it! So many aspects are both fun and fulfilling. I love the initial struggle of working out a design and fine tuning my ideas. I love stepping back from a finished piece and feeling proud of what I’ve created. I also love interacting with shoppers & fellow artisans at craft shows; I love being a part of that community and hearing feedback from people about my work. I work at a veterinary clinic, spend time with my animals, try to enjoy the great outdoors when I can, and love to immerse myself in a wonderful novel. Just do it! Seriously, just get yourself out there. And have fun with it! Make the art/craft you want to make, apply for the shows you want to be in, and interact with your community. You can find Heart’s Haven on Etsy and on Twitter @yourheartshaven, and do come see her in person at these two fantastic events in the coming weeks!